This morning, the Dow Jones Industrial Average pushed higher as investors cheered the Bank of Japan's commitment to keep its 10-year interest rate at zero. Meanwhile, investors continue taking a "wait-and-see" approach to the Federal Reserve's policy announcement later today. Today is one of CNBC's favorite days of the year, as their team will gather and speculate all day about the central bank. The problem with the non-stop coverage? They never give listeners a clear path on how to profit from the Fed's announcement, no matter which way the FOMC goes with its rate decision. That's why Money Morning Chief Investment Strategist Keith Fitz-Gerald offers this insight on how to make money… regardless of Yellen's decision later today. On Tuesday, the Dow gained 9 points, fueled by a rally in healthcare stocks and optimism that the Fed will hold off on its next interest rate hike until later this year. A big acquisition of a liver disease treatment by Allergan Plc. 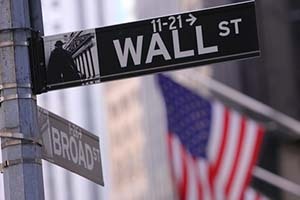 (NYSE: AGN) offered a boost to healthcare stocks. Shares of Gilead Sciences Inc. (Nasdaq: GILD) also rallied thanks to optimism over its pipeline of similar drugs. Now let's look at the most important market events and stocks to watch today, plus your economic calendar, for Sept. 21, 2016. The Dow Jones Industrial Average projects a 60-point gain this morning as investors speculate on the timing of the next interest rate hike. Though the markets anticipate that the Fed will delay a hike until December, another central bank is stealing the show: the Bank of Japan. The Bank of Japan (BoJ) kept its 10-year interest rate at zero on Wednesday as the nation tries desperately to spur economic growth through negative interest rates. Unfortunately, there may be a day in the future when the Federal Reserve embraces negative rates as well. Money Morning Chief Investment Strategist Keith Fitz-Gerald explains that the lunatics are running the asylum and everyone's money is at risk. But you can protect yourself and profit from this nonsense. Read how, right here. With interest rates at such low levels around the globe, there is a war against fiat currencies. Central banks from Europe to eastern Asia are debasing their currencies in an effort to spur economic growth and domestic output. That's good news for gold prices, which benefit the most from weakness in the U.S. dollar. Oil prices pushed higher this morning after a surprise decline in U.S. crude oil inventories. According to the American Petroleum Institute, U.S. crude stocks fell by 7.5 million barrels last week. The WTI crude oil price today added 2.1%. Meanwhile, the Brent crude oil price added 2%. But the big news today is at Wells Fargo & Co. (NYSE: WFC). The bank's stock has received a downgrade from rival JPMorgan Chase & Co. (NYSE: JPM) due to the widespread impact from its ongoing scandal. Yesterday, CEO John Stumpf appeared before the Senate Banking Committee in Washington and accepted responsibility for the company's massive account scam that targeted its own customers. Sen. Elizabeth Warren (D-MA) took Stumpf to task, accusing him of "gutless leadership." Naturally, no one should expect the U.S. government to arrest or hold anyone accountable. Pundits already have conceded that it will be next to impossible to "claw back" any bonuses tied to this scam. It's just another day on Wall Street. Money Morning Capital Wave Strategist Shah Gilani argues that this won't be the last of Wall Street hurting Main Street. In fact, it's a cornerstone of their business model. Shares of FedEx Corp. (NYSE: FDX) gained more than 1.2% after the global shipping giant topped earnings expectations. After the bell on Tuesday, the firm reported earnings per share (EPS) of $2.90 on $14.66 billion in revenue. That topped consensus expectations of $2.81 on $14.61 billion in revenue. Shares of Mylan NV (Nasdaq: MYL) are in focus after Senate Republicans demanded a probe into the company's rebates regarding government-run healthcare plans. The company also remains under scrutiny over its price hike for the EpiPen treatment. Since 2007, the cost of two Epipen devices has increased from $100 to $600. The company's CEO Heather Bresch – who is also the daughter of Senator Joe Manchin (D-WV) – will testify before an oversight committee later today. On the earnings front, General Mills Inc. (NYSE: GIS) stock fell more than 1% despite news that the company topped earnings and revenue expectations. The stock fell after the food giant said that sales were lower than its executives anticipated. The firm cited a weakened macroeconomic environment for the underperformance. Look for additional earnings report from Red Hat Inc. (NYSE: RHT), Bed Bath & Beyond Inc. (Nasdaq: BBBY), CarMax Inc. (NYSE: KMX), Jabil Circuit Inc. (NYSE: JBL), HB Fuller Co. (NYSE: FUL), and Steelcase Inc. (NYSE: SCS).